With all of the talk about kids today I want to take my Gator hat off to the exceptional students that were awarded, “Citizen Of The Month”. These future community leaders stood out in a good way and were selected by the school that they attend as going above and beyond and being role models for their peers. The Zephyrhills Chamber of Commerce sponsors this event and it is hosted by Zephyrhills High School in the Bulldog Inn. 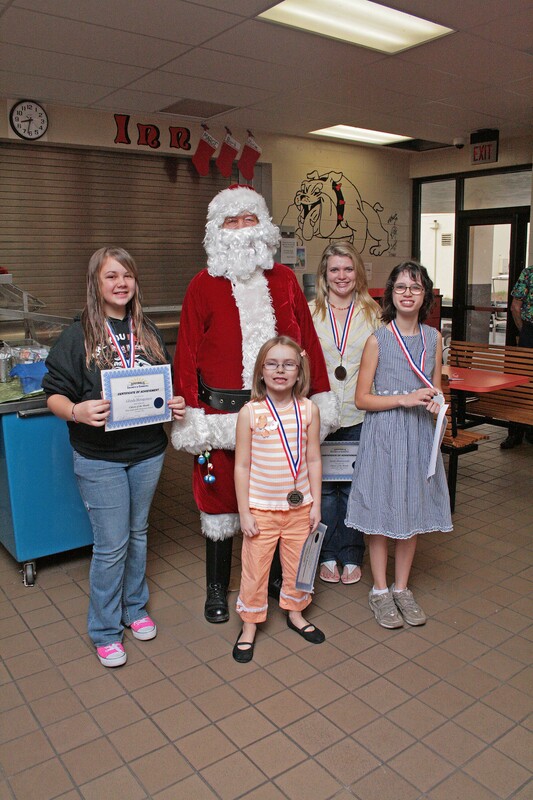 In the photo the December Citizens of the Month pose with Santa Claus and from left to right are: Glenda Montgomery, West Zephyrhills Elementary School: Sidney Dunn, Woodland Elementary School: Sarah Baniszewski, Zephyrhills High School: and Erika Johnson, Raymond B. Stewart Middle School. Again, congratulations and keep up the good work.